What Does a Pastor Do if He Realizes on Sunday Morning He Cannot Preach? Last week on Monday morning, I woke up sicker than I had been in over 4 years. I could barely get out of bed and could do nothing other than lie in bed for the whole day. Two days ago on Saturday, I started to lose my voice over some allergy issues that revved up as a result of a 40 degree temperature swing overnight. I was still able to preach yesterday morning, but by the afternoon I barely could talk. I had used up the last of my voice preaching on Sunday. These unexpected physical problems caused me to consider an important question, “What if either of these struggles had happened when I woke up on Sunday morning?” In either case, I would not have been able to preach, regardless how prepared I was or how much I desired to do so. 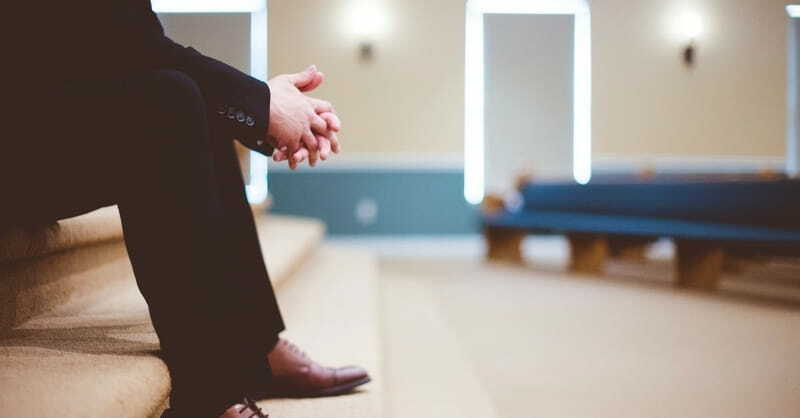 How does a pastor prepare for these moments? 1) Try your best to still preach in your weakness. If I only preached when I physically felt well or my voice was strong, I would not preach very much. I have experienced throughout the years God’s Spirit being especially present when I preach while feeling most broken and weak. There are times for different reasons I wondered if I could stand to preach, but every time God gave grace and help. Preaching in these moments reminds us of the complete dependence we should always have upon God when we stand to proclaim his word. 2) Have a couple of men able to preach for you with a few hours notice. The best way to prepare for this situation on a Sunday is to have a couple of gifted men in your church with a sermon prepared and in waiting. I have about 3-4 gifted preachers in our church that I have on long-term standby just in case they get a call late Saturday night, or early Sunday morning that I cannot preach that morning. If you have no one else to put in this position in your church, have another pastor at another church who does not always preach at their church on standby. This prevents putting someone in a difficult position to fill in for you and identifies the person you are to call in that moment. 3) Remember, you do not have to preach. You may have prepared all week, you may really want to preach, but we need moments in our life and ministry that remind us of our frailty and that we are expendable. God can use someone else besides you in this moment even if you thought all week you were the man for the task. We need to depend upon others in these moments and sometimes we must conclude it is not the will of a sovereign and good God that we were to preach that day. I am grateful to God my rare physical challenges these last two weeks took place soon after preaching on Sunday mornings. That allowed me the rest of the week to recover and get ready to preach the next Sunday. But there have been a few moments where I have had to graciously and suddenly bow out. Don’t think it can’t happen to you. Be prepared. Recognize when your weaknesses are too much. Trust God will care for and feed your people well in your absence. Remember, these moments are not a surprise to our God the way they are to us.